Costumes are what Halloween is all about, but did you know costumes also add excitement to mundane events? Within our costumes ideas you'll find looks for theme parties, theater productions, fan collections or everyday adventures. 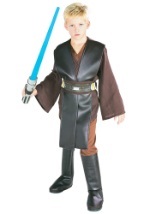 We feature adult and child costumes inspired by movies, cultures, history, occupations, holidays and more. Pair these costumes together with your friends or family for excellent couples costumes or group costumes. Whether it's for Halloween or a small get together, you'll discover costume ideas here that will jazz up any event!